A new bitcoin app for iOS devices was launched over the weekend and its developer claims it is currently the only bitcoin app available for Apple devices that can carry out transactions. 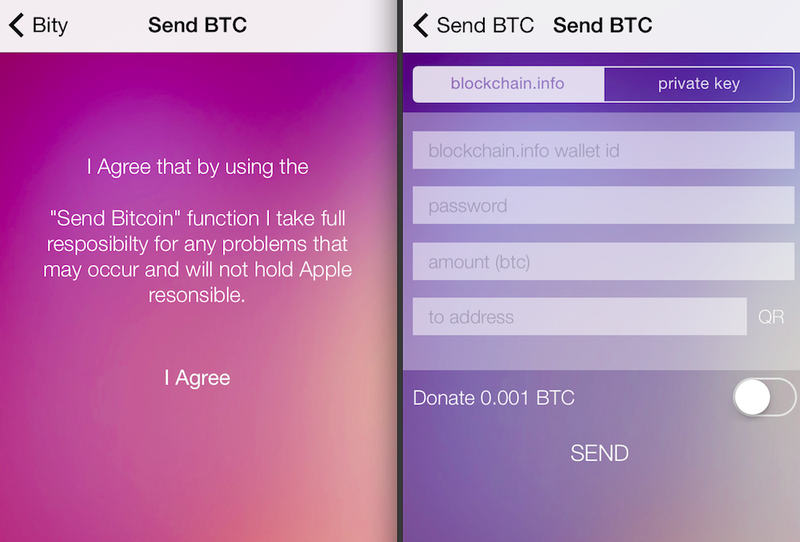 Named Bity, the app lets users send bitcoin only after agreeing that they will not hold Apple responsible for any problems they may experience during the transaction. Unlike Google, Apple vets all submissions to iTunes and it does not accept apps with bitcoin wallet functionality. Developers have been working to get around the ban, usually by offering browser-based bitcoin functionality through Safari. One such example is Coinpunk, which employed HTML5 to design a browser wallet last year. However, Bity uses a different approach. Bity was developed by independent iOS developer Christian J Moss, who decided to attempt a different, non-techie way of getting around Apple’s wallet app ban. 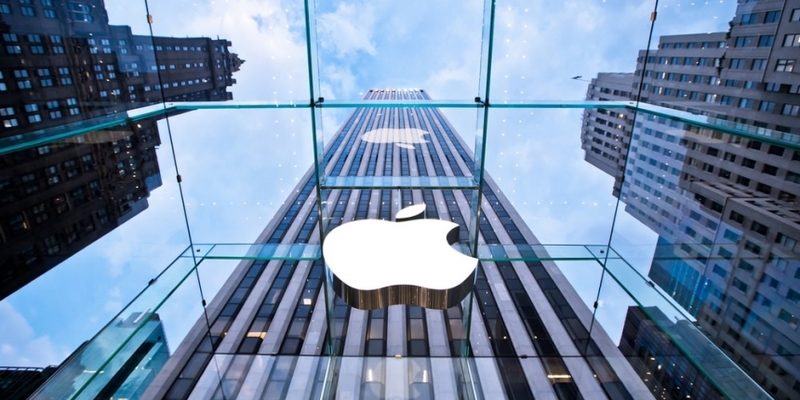 Firstly, in order to proceed to the ‘Send BTC’ function, the user has to accept the terms and conditions, under which Apple cannot be held accountable if something goes wrong. Secondly, the app itself has no wallet functionality. Users must enter a Blockchain wallet ID and password, or alternatively the private key of a wallet, which are saved in the app and used to make transactions. As well as sending funds, the app also facilitates receiving funds by displaying a QR code for the user’s wallet and will update the amount of funds in the wallet as the total changes. This is not the most elegant solution, perhaps, at least not compared to your typical Android wallet, but that is the price to pay for sneaking into Apple’s walled garden. Bity is a universal app, so it can run on iPhones and iPads with any screen, but is optimised for iOS7 and Retina screens. It is worth noting that, currently, neither the ‘Send BTC’ function nor the QR code scanning option is available on iPads. Further to its limited transaction services, the app monitors exchange rates for over a hundred different exchanges and price trends can be displayed in graphs. The app will be free for a limited time, but there is no word on how much it will cost once the promotion is over. At the moment, the developer is accepting BTC donations to support his efforts. Disclaimer: This article should not be viewed as an endorsement of the product mentioned. Please do your own extensive research before considering investing any funds in this product.